The average audiophile is typically white, male and over 40. At home, he’s master of his listening room kingdom. At audio shows, it’s a different story. There he must accommodate all manner of musical tastes which are often wildly different to his own. Or so the theory goes. Reality paints a different picture. For the majority of exhibitors seeking return on their audio show investment, spinning the wrong tune at the wrong moment runs the risk of alienating our visiting audiophile. Think of it as a potential sales lead gone up in smoke. With pricing that often runs into the thousands, one false move with that iPad remote or record box dip can adversely affect the exhibitor’s bottom line. Our average audiophile knows what he likes and he likes what he knows. Knowing the core demographic of attendees, exhibitors maintain their course with tried and true programmes from years gone by. Variety plays second fiddle to not wanting to offend. A Mobius loop of musical beige keeps the unpleasantries of the unfamiliar at arm’s length. This means an abundance of Nat King Cole, Norah Jones and Patricia Barber. So ubiquitous are these artists at audio shows that the joke has transcended cliché. It’s become part of the audio show fabric. Attendees are almost resigned to the fact that they’ll hear Dark Side of the Moon more times than they can count on both hands. For the majority of exhibitors, doing anything other than playing it safe results in strong reactions from the core demographic. On numerous occasions, I’ve witnessed many a seemingly friendly fellow hear something not to his liking to openly express his disgust at the ‘doof doof’ or ‘modern rubbish’ (his words) before making an abrupt sour-faced exit. This happens more often than you’d imagine. Flipping the picture around, what of customer engagement that’s been lost by keeping with the program? Those with more eclectic tastes at home but resigned to Norah Jones Forever often stay silent at shows or don’t enter the room at all. That makes the financial losses of keeping it M.O.R. tougher to measure. Almost mirroring Heisenberg’s Uncertainty Principle, an audience’s responsiveness to change cannot be measured without altering the people that comprise that very audience. And so the well-worn audio show treadmill of Diana Krall and "Hotel California" rolls ever onwards, the cliché burrowing deeper still into the collective audiophile consciousness. It’s not just the sonic palette from which this cliché is inked that causes despair (although it doesn’t help). It’s over-exposure to an excruciatingly narrow range of music. Spin the likes of Lorde or Calexico too often and it would become just as tiresome just as quickly. Ditto Captain Beefheart. Or Scott Walker and Sunn O))). Or George Clinton. I’ve never felt entirely comfortable outlining a problem without also posing a possible solution. When writing about the audiophile disconnect in my report of the 2013 Australian Audio and AV show, I wanted right there and then to offer an alternative demo playlist. Alas, the irony of suggesting alternative hifi show music in a lossy format wasn’t lost on me. Eighteen months later, that compromise is dissolved by lossless streaming services from Qobuz and Tidal/WiMP. I asked myself once again: which artists found in the pages of Resident Advisor, Pitchfork or The Quietus wouldn’t sound out of place at an audio show? What cuts might sneak in under the radar? And so this first 6moonbeams playlist was born. It isn’t designed to rock the boat hard enough to capsize it. It comprises points of difference but dresses them in familiar clothes. Moderat aside, these are mostly mid-paced numbers, selected for their aural agreeability as much as anything else. 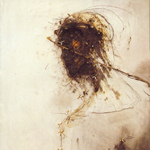 1) Peter Gabriel – "A Different Drum". Probably the most boisterous and accessible cut from Passion, this is from Gabriel’s pseudo soundtrack to Scorcese’s über-controversial Last Temptation of Christ. Only the lowest-reaching loudspeakers and headphones will nail the sub bass properly. I sometimes use this to test for soundstage width and the ability to deconstruct a complex midrange. Expect goose bumps when Gabriel’s vocals collides with those of Youssou N’Dour. 2) Atom TM – "Pop HD". Uwe Schmidt has long been considered an audiophile favourite in electronic music circles. His productions are impeccably programmed and 2013’s HD, released under the Atom TM alias, is no exception. The lead track featured here answers the question which no one has asked: what if Kraftwerk had been French? Listen for the tone sweeps that pan right to left. And the bass, it goes deep. 3) Johnny Cash – "Personal Jesus". The majority of fans would probably point to Cash’s cover of Nine Inch Nail’s "Hurt" as the most well-received song to emerge from his Rick Rubin-helmed late career renaissance. 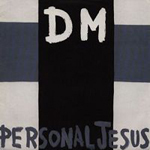 However, this Depeche Mode cover featured as a B-side to "Hurt"’s single release is just as good. With Cash’s acoustic guitar and vox front and centre, the bar room piano that burbles beneath the surface of Rubin’s stripped-back production lends the song a little groove. 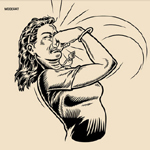 4) Moderat – "A New Error". In case you’re wondering: Modeselektor + Apparat = Moderat. It’s the lead cut from their debut and by far the most boisterous track on the album. When it came out in 2009, I used it to terrorize my local Naim dealer. Some of you listening along as you read this might be reaching for the skip button already! Fair enough. However, this is the very track used by Devialet at CES this year to demonstrate the bass-handling capabilities of their Phantom all-in-one active loudspeaker. Future music for a future-facing hifi product, neither will be to everyone’s taste. There’s plenty of crunch in the claps for evaluating upper-mid politeness. Wanna know if sufficient detail is being exhumed? Listen for the treated echoes on those claps. 5) David Byrne – "The Sound of Business". Between Talking Heads’ Little Creatures and True Stories, oddball main man David Byrne recorded an album that centered on brass instruments, chosen for their ability to obscure set change sounds in Robert Wilson’s play The Civil Wars. Music For The Knee Plays layered saxophones over trombones over trumpets for a sometimes cacophonous presentation that really grates when lesser gear is hooked into the playback chain. I even find it difficult to enjoy this album on Spotify. If you can find the ECM vinyl, grab it. It took 22 years for the album to enjoy its first CD issue with which I listen for wetness in the blat of horns. "The Sound of Business" gradually lets you know as it builds if you’re in need of a watering. 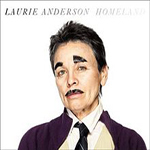 6) Laurie Anderson – "Only An Expert". Far superior to Anderson’s 80s hit "O Superman", this cut from her 2010 album Homeland is impeccably produced. The mix is busier than your local shopping mall at Thanksgiving but the guitar and violin squalls that ebb and flow shouldn’t annoy. The squelchy synth sounds as programmed by Four Tet’s Kieran Hebdan really pop inside a nice pair of headphones. That makes iit a great choice for increasing the likelihood of those "I never noticed that before!" moments when switching from A to B. 7) Beck – "Paper Tiger". 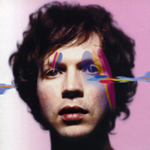 Track two from Sea Change, probably Beck’s most critically acclaimed, starts innocuously enough although that initial drum one-two should properly kick before the ever tighter circling strings and guitars load in the drama. Try to keep track of the nimble bass line that underpins it all. Better gear will prevent the treated vocal and string work from drowning it out. "Paper Tiger" will (hopefully) tell you something about your system’s ability to maintain composure in the face of complexity. 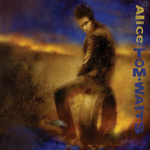 8) Tom Waits – "Alice". 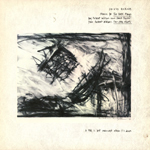 Waits’ work can usually be subdivided into the gruff stuff and tender ballads. This one is from the latter camp. The exhale that carries each chorus’ final mention of the song’s subject just slays. Every time I attempt to use this for a critical listen, I have to concentrate really hard not to get sidetracked by the song’s emotionally weighty core. When I manage to stand firm, I sometimes focus on the subtleties of the brushwork that simmers at the very top of the mix. 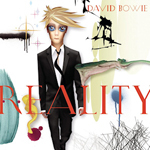 9) David Bowie – "Bring Me The Disco King". I dig this tune as much for Mike Garson’s masterful piano work as anything else. This is Bowie playing it straight down the line with a piano lounge vibe that mainlines a detached melancholy that could easily be Bryan Ferry’s. Tell me that audio show folk wouldn’t love this tune and I’ll eat my hat and yours. 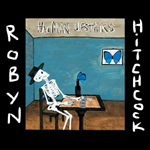 10) Robyn Hitchcock – "To Turn You On". Talking of Ferry, here’s a cut from Hitchcock’s latest album The Man Upstairs, his least eccentric collection of songs for almost a decade, half of which are covers. The piano flourishes prettify a straightforward guitar-strummed reading of a song from Roxy Music’s highly polished Avalon era. The cello that runs up and down the Hitchcock version’s spine adds some nice tone depth. Fatten with tubes. The songs contained in this playlist aren’t intended to be heard in any particular order. I recommend going with shuffle. Find it on Spotify here, Tidal here and WiMP here. For more writings by John Darko, visit his own website at DigitalAudioReview.net.